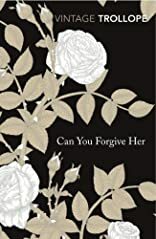 Alice Vavasor cannot decide whether to marry her ambitious but violent cousin George or the upright and gentlemanly John Grey - and finds herself accepting and rejecting each of them in turn. Increasingly confused about her own feelings and unable to forgive herself for such vacillation, her situation is contrasted with that of her friend Lady Glencora - forced to marry the rising politician Plantagenet Palliser in order to prevent the worthless Burgo Fitzgerald from wasting her vast fortune. In asking his readers to pardon Alice for her transgression of the Victorian moral code, Trollope created a telling and wide-ranging account of the social world of his day.